The air is getting colder, the holidays are near, a time for celebration with those we hold so dear! Christmas is going to come to the town soon. In the Halong bay, on cruises, there will be attractive Christmas activities for all loves. Explore the underworld: When in Halong Bay, visiting caves is an indispensable activity. There are plenty of hidden caves and grottos, lakes and lagoons inside the islands. 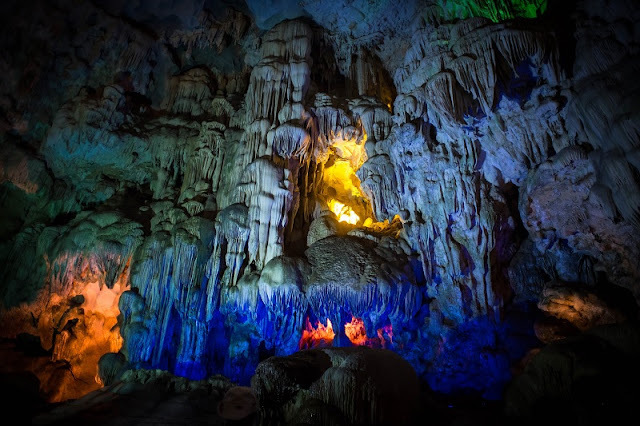 The most famous caves are: Dau Go Cave, Thien Cung Cave, Sung Sot Cave, Trinh Nu Cave... Each cave has a lot of mysteries and interesting things waiting for you to discover. Spend a night onboard: This is the first choice you should do because of its unique characteristic. Nothing more interesting than you wake up to sound of the ocean right outside your bedroom window in a peaceful space and a fresh atmosphere. By this way, you can admire the bay much closer up in a more special manner. This is a good chance to you can observe Halong Bay at night and participate in something interesting as squid fishing on the bay when all boats are docked in a space full of brilliant light from the boats. 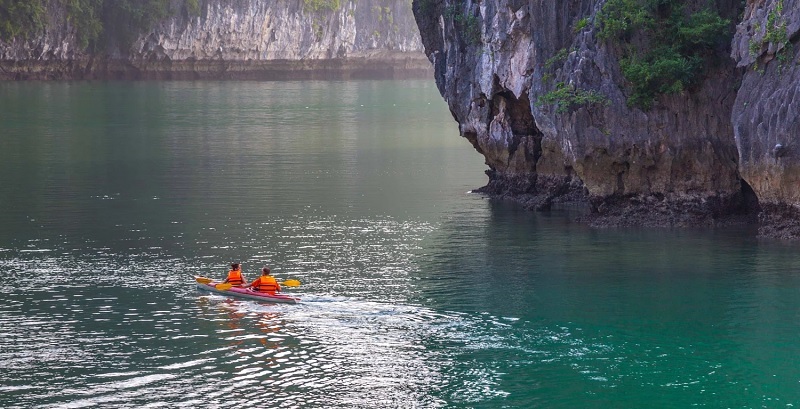 This is one of the unique and special activities that you will never regret when do it on Halong Bay. 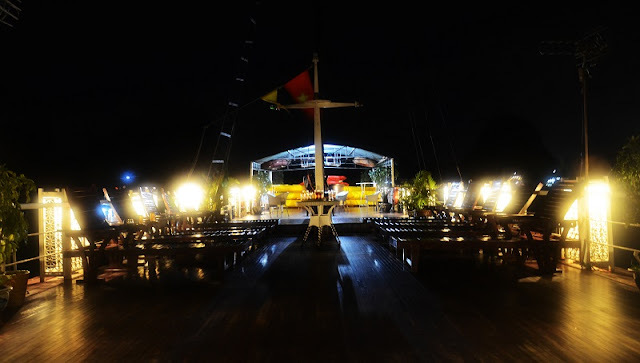 Squid fishing night: Night squid fishing is an amazing experience that you should not miss when in Halong bay boat tours. This favorite activity of almost every tourist often takes place after the diner time, around 8pm. After dinner, tourists will be taken by tender boat to the squid fishing area which is driven by the experienced crew. It is one of the most popular activities thanks to the fact that you can admire the mysterious beauty of Halong Bay at night. The best part of this activity may be enjoying the fresh squid dishes with your cold beers or wine. Join the wonderful Christmas holiday in Ha Long Bay, a combination of exploring activities, experiences and a warm, happy Christmas on the sundeck of Ha Long Bay you will have a Christmas season with Interesting and memorable experiences.